This lifeboat was the fourth to be launched, but the first to be launched from the port side. 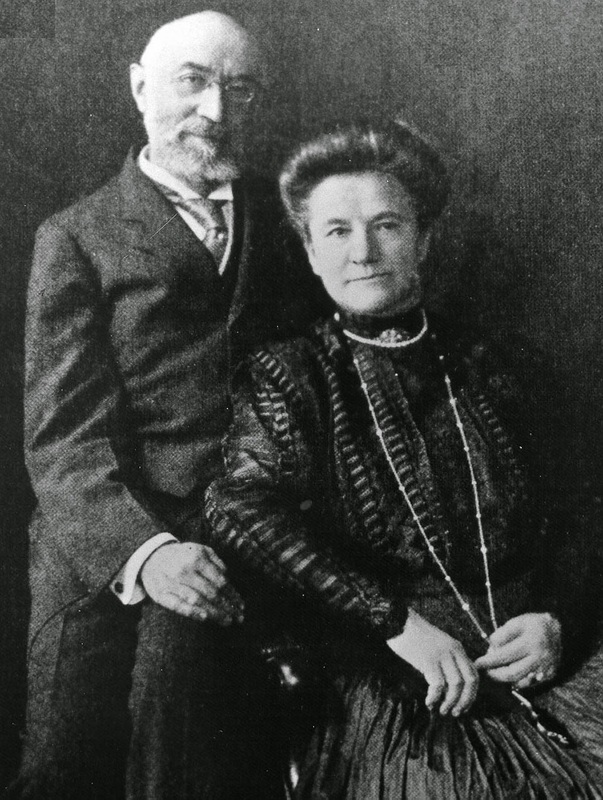 First class passengers Ida and Isidor Straus were standing close by, but when Mrs. Straus was asked to board the lifeboat she refused. Mrs. Straus never left her husband's side, and were last seen on the boat deck together. 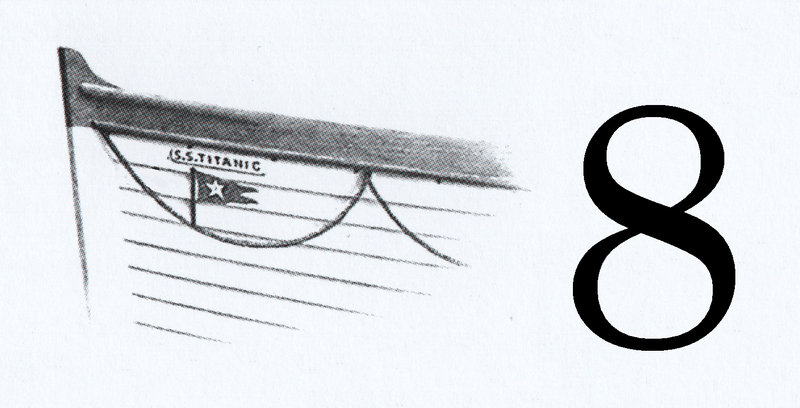 Lifeboat 8 is launched from the port side and leaves Titanic with only 25 of it's 65 seats occupied. This radio controlled model of Titanic took me two years to build. It was one of the most challenging, yet exciting projects I have ever worked on. It is currently being refitted, and will be ready to sail for Summer 2019! Preserving Titanic History since 1963. Membership is highly recommended. Ken Marschall is known as the world's foremost creator of Titanic artwork. Ken Marschall's amazing Titanic artwork available for purchase. Just like Netflix, but all things Titanic! This channel is a wonderful resource for Titanic enthusiasts. Visit these two wonderful museums in Branson, Missouri and Pigeon Forge, Tennessee. See where Titanic was built in Belfast, Northern Ireland. Visit the house of Molly Brown in Denver, Colorado. Visit these amazing exhibitions to see recovered artifacts from the Titanic wreck site. A huge inventory of Titanic merchandise. Amazing Titanic replicas from sculptor Alan St. George. One of the best online resources for Titanic research. A list of all the ships belonging to the White Star Line. Provided by Wikipedia. American and British inquiry transcripts following the disaster. A great resource for anyone interested in ships. A fun and interesting source for ocean liner enthusiasts. Model ships ready to be displayed. THE PURPOSE OF THIS WEBSITE IS TO SHARE THE TITANIC STORY WITH THE WORLD. THE INFORMATION POSTED ON THIS SITE CONSISTS OF A VARIETY OF COLLECTED KNOWLEDGE ON THE TITANIC SUBJECT, AND RELATED HISTORY. ALL INFORMATION IS BELIEVED TO BE THE MOST ACCURATE TO THIS DATE. I DO NOT HOLD ANY COPYRIGHTS ON IMAGES. UNLESS OTHERWISE STATED, I CLAIM NO OWNERSHIP OF THE IMAGES POSTED. IF YOU NEED TO KNOW THE SOURCE OF AN IMAGE, OR OWN AN IMAGE AND WISH TO HAVE IT REMOVED, PLEASE CONTACT ME. FEEL FREE TO CONTACT ME IF YOU HAVE ANY QUESTIONS OR COMMENTS.